Handy Gardeners can help get your outdoor space back in order. When the weather brightens up there is nothing better than having a nice outside area to enjoy relaxing and enjoying time with the family. Sometimes it doesn’t take a lot to brighten up you garden, may be some lawn care or weeding will instantly lift and tidy up your garden. From a simple garden clear up to landscaping our gardening experts are available to provide an outstanding service for you. You may want a complete overall and have a brand new design that will instantly improve the appearance of your outdoors area. Our costs are reasonably priced so you don’t have to dread calling us and requesting a quote. 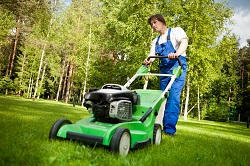 Our team of gardeners will do a truly professional job that you will be totally satisfied with. You can hire us as a one off service or on a regular basis to keep on top of the maintenance. Call us 020 3744 0111 and discuss your options with our friendly and helpful customer services. Our staff can provide you with all the relevant details on how to go ahead and book a meeting with our gardeners. Uxbridge is located on the edge of London and has some great shopping and also good transport links to the west end to take in a show or some sightseeing. Hayes is a residential area and on the industrious side and close to the airport. Brentford is also located close proximity to Heathrow and central London, and mainly a business region. Along the north of the River Thames there have been new houses built and some hotels. Ruslip is a suburban area and has a lot of wooded areas to explore and enjoy away from the busier areas. Chiswick is a famed place in this region of London and has lots of bars, venues and quality food stores. This area of London is one of the wealthier regions compared to other areas of the city, and has a reputation of being snobbish. The area is famous for plenty of attractions and a popular spot that attracts thousands of visitors every day. The famous Wembley stadium can be found here and the areas well known for its football clubs, Brentford, Chelsea, Fulham and Queen’s Park Rangers. West London is also home to the busiest airport in the U.K London Heathrow Airport, which is also one of the largest in the world. Hounslow is a working class area where the large majority of workers from the airport live. West London is popular with travelers mainly due to the location of the airport, and it wealth of attractions and facilities. It has good transport links that connect other parts of the famous capital city. There is a good choice of accommodation and also the opportunity to be close to smaller suburbs, towns and villages. West London's popularity with travelers and residents (working holiday makers, backpackers, etc.) can be easily explained by a number of important factors, not least the proximity to Heathrow Airport, and its multiple transport connections with Central London and the West End. This area is in a good location and has excellent underground, air, train and road connections so you can travel around the interesting area. In addition you are not far away from the centre and other famous parts of the historical city that has a lot to see and do. As a whole London has something for everyone and there is plenty of attractions, entertainment, accommodation and places where to eat and drink. For the best gardening services make sure you call us 020 3744 0111. We can arrange for an appointment for our gardening experts to visit your home and access the situation. Our experts will offer you all of the help you need. We try to fit in with your life and if you want easy to care for or a design with a bit more work involved we can oblige. You can have a one off gardening service to tidy up with our leaf clearance and garden waste removals, as well as our lawn maintenance. You will be impressed with our excellent services and costs. Don’t be wary of getting in touch with us, we are more cost effective than you think. Our professionals will get to work immediately with whichever service you book including revamping your outside plot until it looks amazing. Handy Gardeners also provide garden landscaping where you can have a complete new look with innovative ideas such as a newly constructed pond, BBQ or pergolas. As well as a new look our gardeners will help design a garden for you to keep looking good at all times. We will provide all of the necessary advice and instructions to help you care for your new investment. 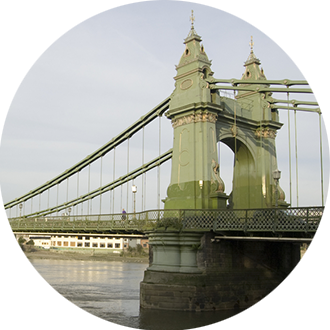 West London is located on the west of the River Thames and has a population of over 1.6 million. The area is made up of Brent, Ealing, Hammersmith and Fulham, Harrow, Hillingdon and Hounslow. A lot of the areas of west London were once part of Middlesex, but most are now part of this region. Some other parts, such as Ealing, are a part of west London and also known as the principle transport center and also famed for the Ealing studios. Acton is extremely popular with travellers from further afield such as Australia, South Africa and New Zealand. The main reason is its vibrant entertainment options which also are fairly reasonably priced. Plus there is plenty of inexpensive accommodation available to suit all tourists from backpackers to the wealthier. Acton is a part of Ealing, but has its own personality with lots to explore. Southall is a must to visit in this area of the capital city. It is also more commonly known as the Little India mainly due to its massive selection of curry houses and authentic restaurants. It is a great spot to sample some of the delicious delights of this world famous cuisine.